Writing is a skill that has to be learned. Tony Bosworth, a senior trainer with the Australian College of Journalism (ACJ), a division of Cengage Education, points out that his ability as a writer and teacher is based on 35 years’ experience. “I have been learning throughout my professional career and still regard every day as an opportunity to learn something new. Along the way, I have been guided by many good mentors and I want to pass on this type of assistance to my students,” says Tony. Tony’s curriculum vitae reflects a life lived in most areas of professional writing. He began as a cadet on his local newspaper in the UK and progressed to be a news and feature writer on some of London’s major newspapers. He has also worked in radio, edited 15 magazines, both in the UK and Australia, and is author of five books. 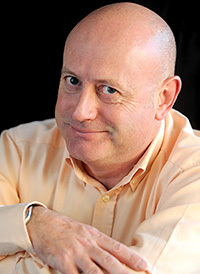 In addition, he has consulted at senior levels in public relations in Australia and the UK and taught journalism at a number of the UK’s leading colleges and universities. Currently, as well as teaching, he is working as a newspaper journalist. Tony explains that there are now very few avenues available in Australia for students to train as journalists and this impacts on the job prospects of many aspirants. He believes Cengage Education is one of the few training organisations in Australia to run a practical journalism course and that this type of training is essential to help students get a job. So what can students expect from Tony as their mentor and trainer?